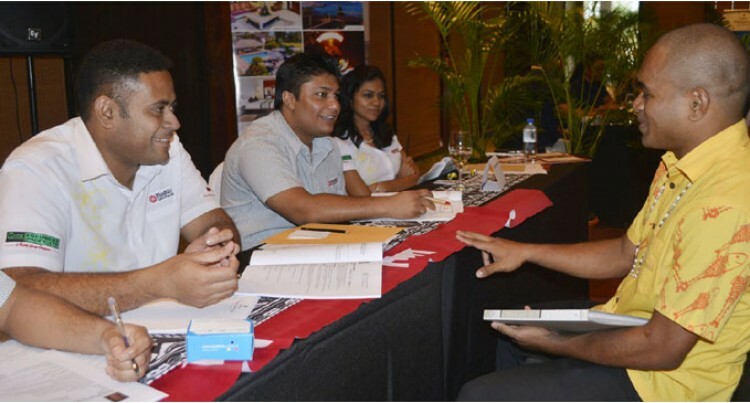 The University of the South Pacific’s (USP) School of Tourism and Hospitality Management (STHM) hosted its annual careers fair at the Shangri-La’s Fijian Resort and Spa, Yanuca Island, yesterday. Professor Marcus Stephenson said the one-day event provided students with the opportunity to meet various tourism and hospitality organisations to gain ideas on potential career paths and employment opportunities. “A lot of emphasis on the school is trying to encourage students to have stronger links with the industry and rely in employer-mobility,” Professor Stephenson said. Professor Stephenson said the event was being organised in consultation with industry stakeholders and featured 20 different employers from the tourism and hospitality sector. Laucala Island Resort general manager Christoph Ganster who joined the fair said, “It was important for Laucala Island and myself as we basically are grooming local people and indentify more to bring on board. Bachelor in Commerce Hotel management final student Lusiana Uluivutia was part of the event. “This is the first time I am part of it and it is beneficial for graduates like me as the feedback has been up to my expectation and also to improve our aspirations,” Ms Uluivutia said.